In a somewhat unexpected yet welcome move from collaborators Vans and Disney, we are presented with a new Vault collection of fall OG classics for 2013. An array of choice prints decorate six styles with Sk8-His and Authentic LX silhouettes working their way into the release, while the prints themselves were sourced from designs that were originally created by Vans alongside Disney in the early 1980s. 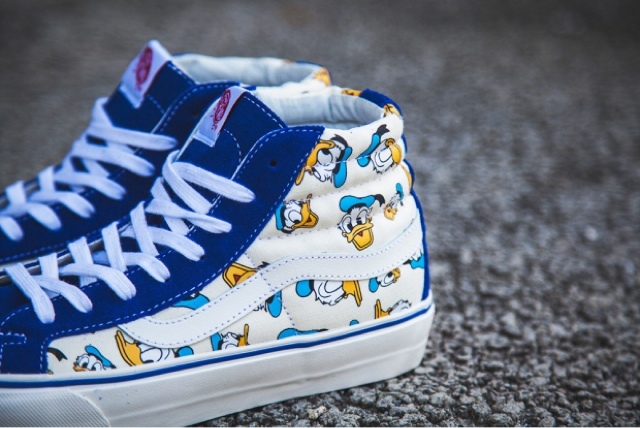 With instantly recognizable patterns featuring Mickey Mouse, Donald Duck and Winnie the Pooh, children’s sizes as well as adult sizes are set for release at select Vans Vault retailers beginning in July. For Disney enthusiasts, stop by Wish Atlantawhere you can get your hands on an early shipment.